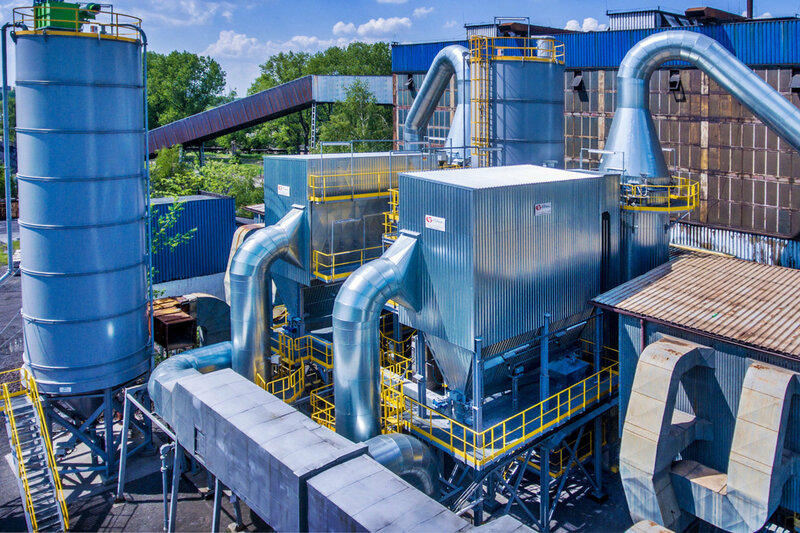 In the case of necessity to meet the very severe emission requirements, associated with neutralisation of gaseous compounds such us SOx, HCl, HF and other, INSTAL FILTER SA proposes the systems using fluid bed reactors. Flue gas cleaning system with fluid bed reactor is a perfect solution for customers with medium and large boiler units. 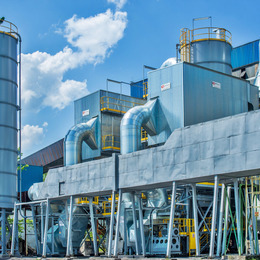 This is an ideal selection both with regard to investment costs and the operation of this type of system. 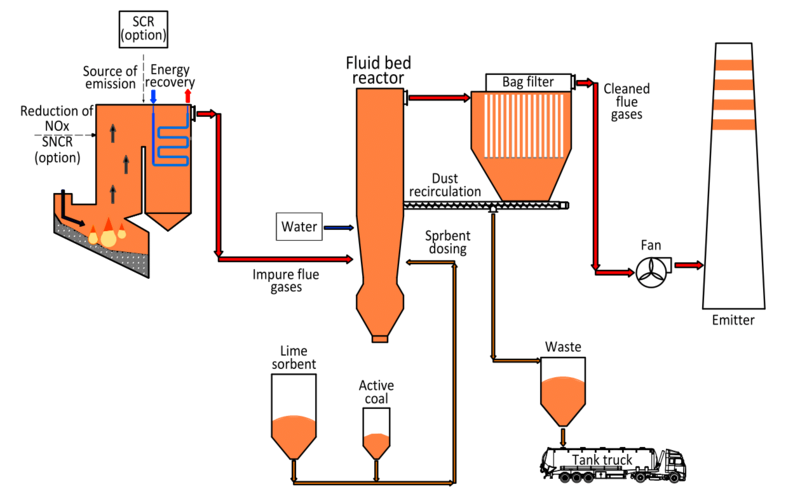 As a sorbent for these technologies, both lime, and soda may be used. 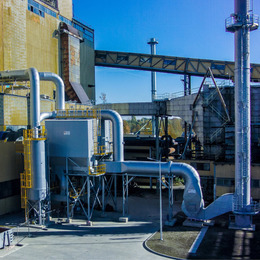 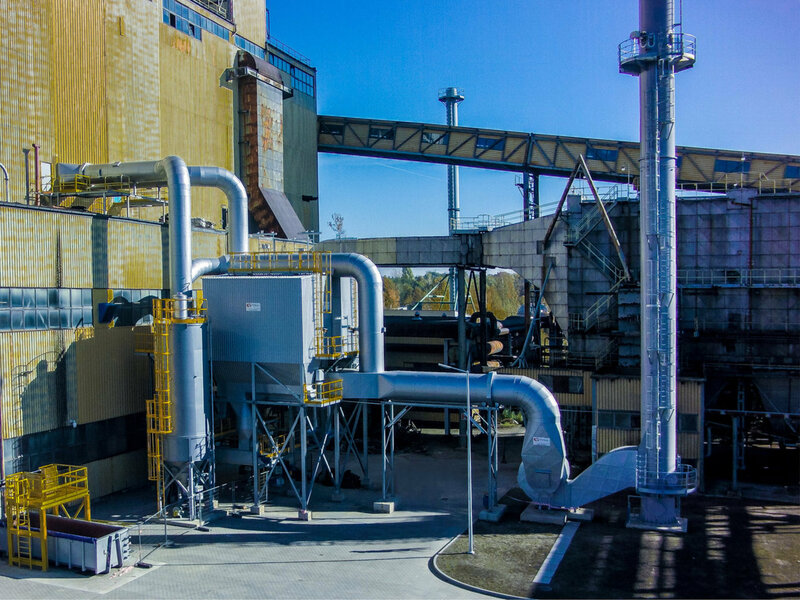 The basic element of desulphurisation technology of the reactor bed is a bag filter, which allows the reduction of dust emission to atmosphere even below 1 mg / Nm3. 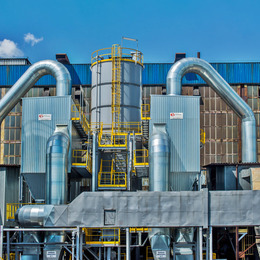 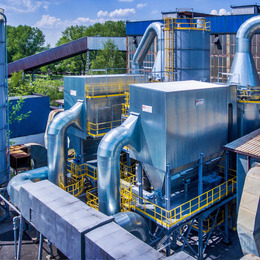 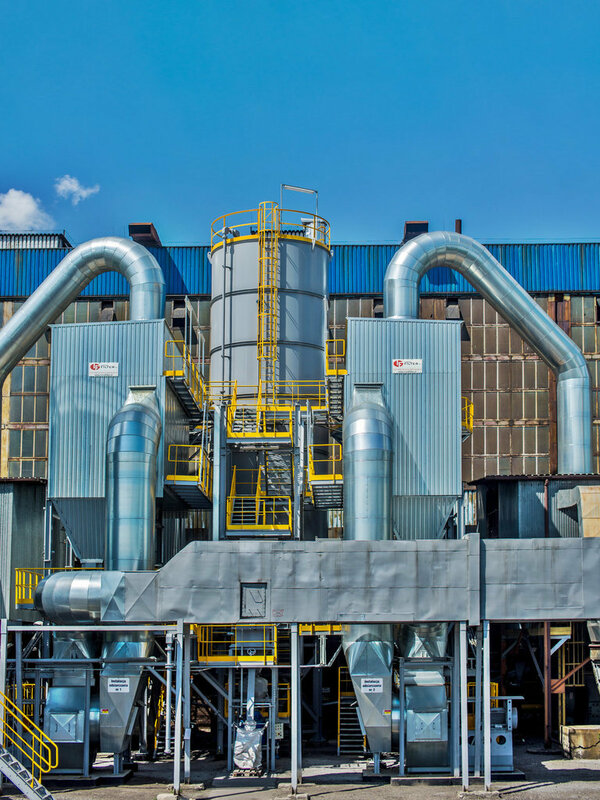 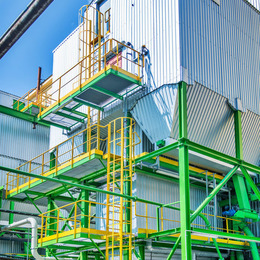 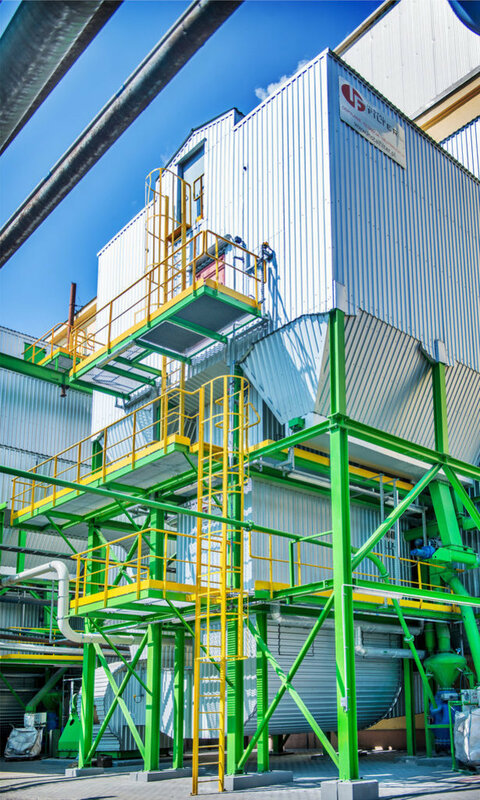 The efficiency of desulphurisation is determined by a fluid bed of a sorbent along with integrated flue gas conditioning system. 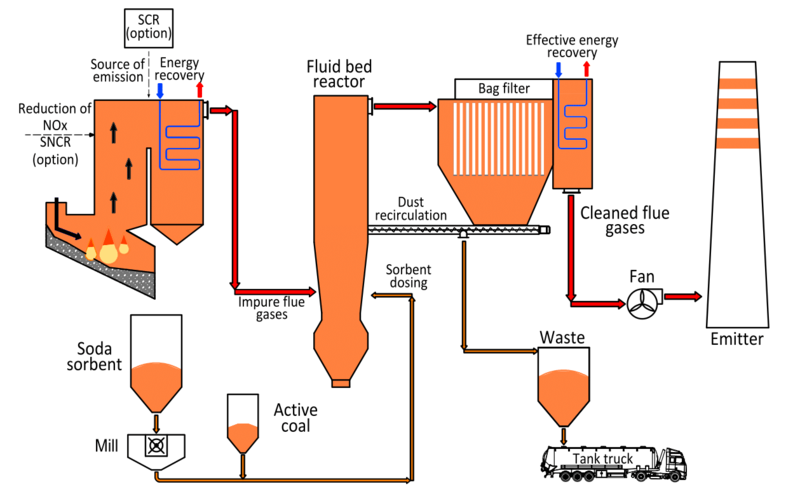 Appropriate injection of flue gases and proper distribution of re-agent in the reactor is decisive for the efficiency of this method. 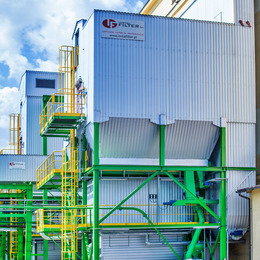 The system of recirculation of a product of desulphurisation used in the system allows almost complete overwork of reagent introduced, providing minimization of costs associated with the operation of IOS. 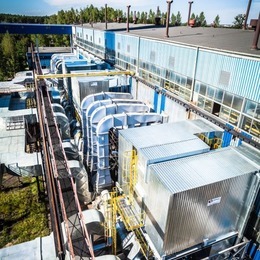 The proposed system due to applied solutions features very high flexibility. 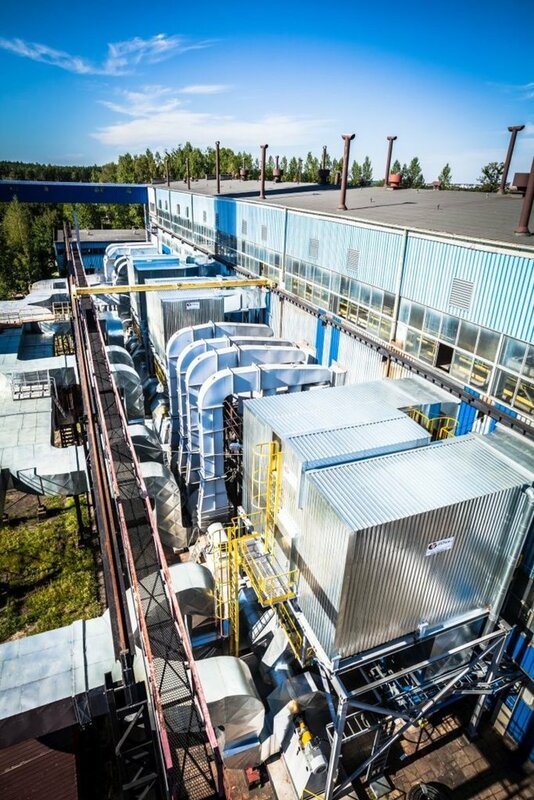 It allows the operation at minimum (reaching up to 30%) boiler load, up to operation at maximum capacity. 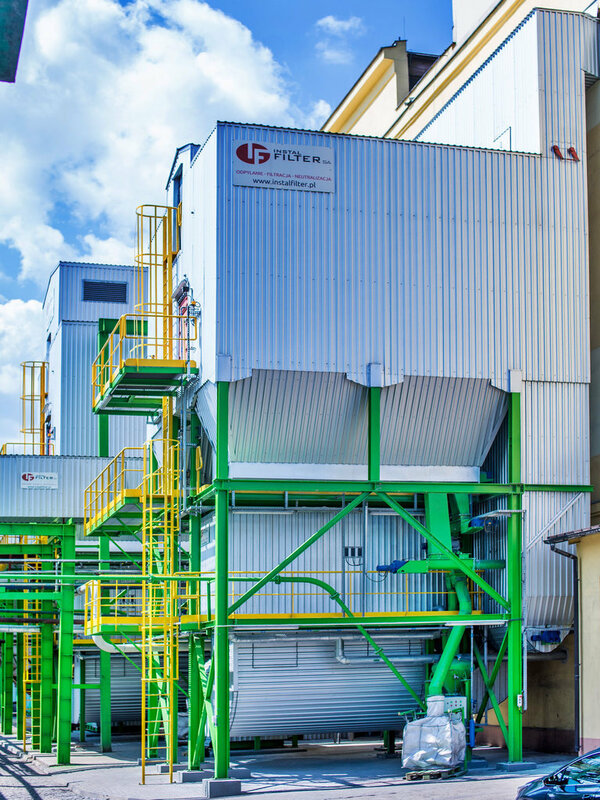 Diversity of applications though the possibility of installation both for medium, and high capacity boilers. 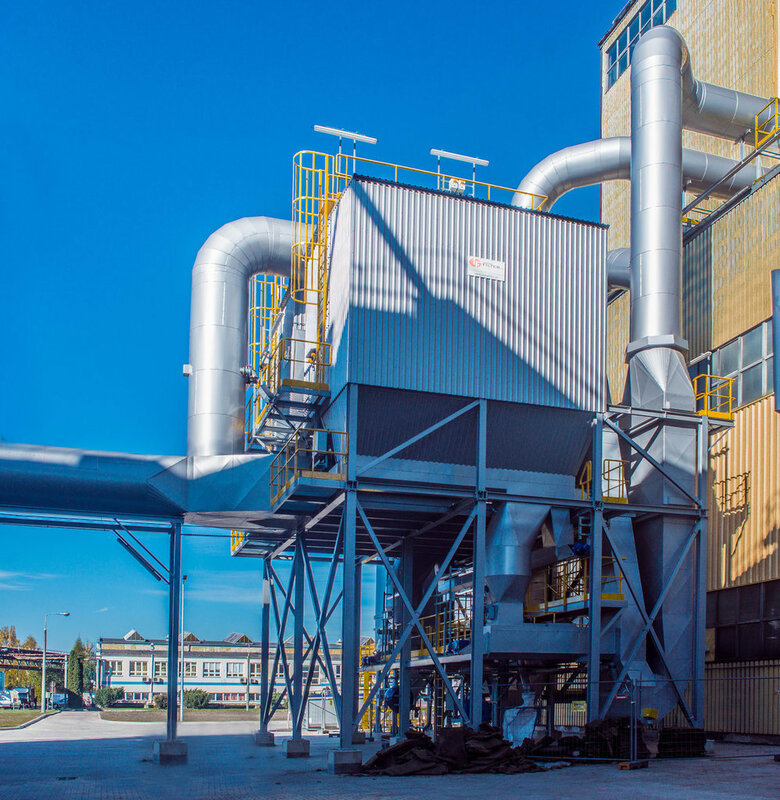 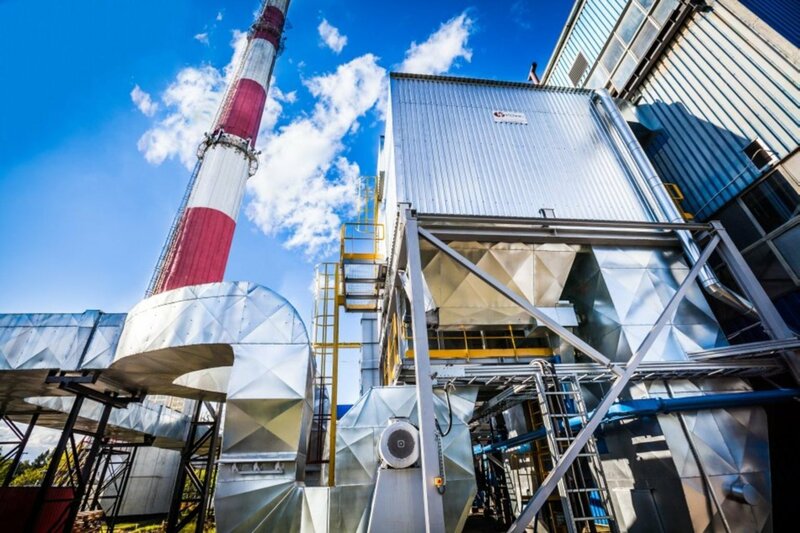 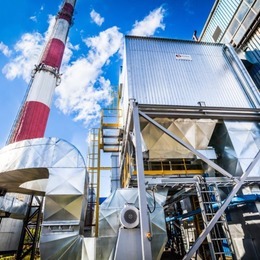 INSTAL FILTER SA is a leader in designing flue gas cleaning systems and forerunner in introducing new technologies, reducing the emission of harmful substances to atmosphere. 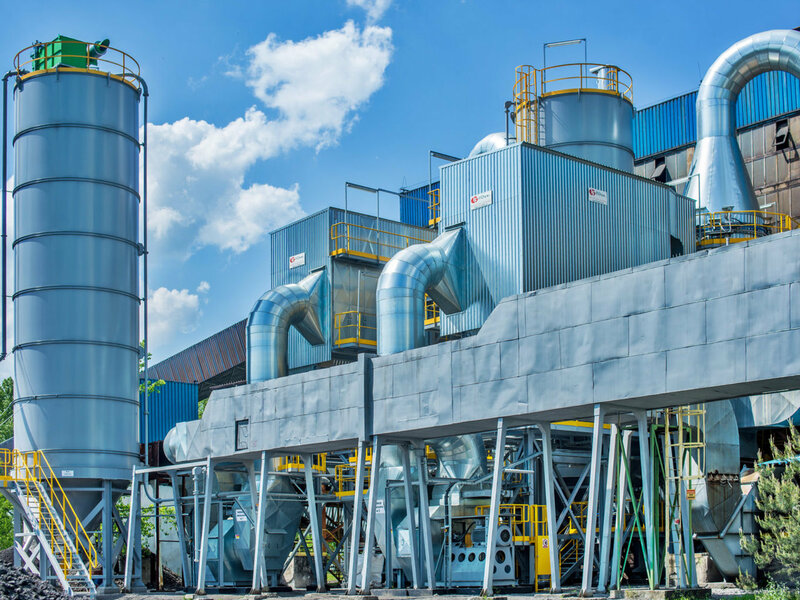 We offer customized solutions for each customer, providing optimum selection of desulphurisation technology adjusted for the needs of your enterprise.